The strike embarked upon by the Academic Staff Union of Universities (ASUU) has been suspended after the body signed all agreements with the Federal Government. ASUU and the federal government reached an agreement at the end of the conciliatory meeting held at the instance of the Minister of Labour and Employment, Senator Chris Ngige and his Education counterpart, Malam Adamu Adamu. 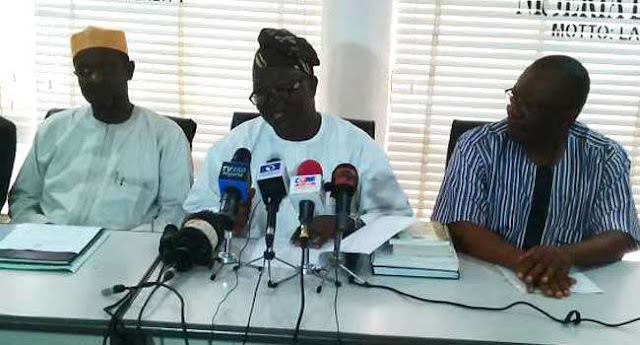 The truce was brokered after a team of Students from National Association of Nigerian Students (NANS) threatened showdown against the leadership of ASUU who attended the negotiation. The Labour Minister, Chris Ngige, who read the agreement signed by both parties, expressed optimism that the strike would be suspended. According to him,“This is going to be a conclusive meeting and conciliatory meeting between Federal Government and ASUU. The Minister also said that the visitation panel has also been instituted and will commence work on 2nd March with the view to sanitizing the tertiary institutions.